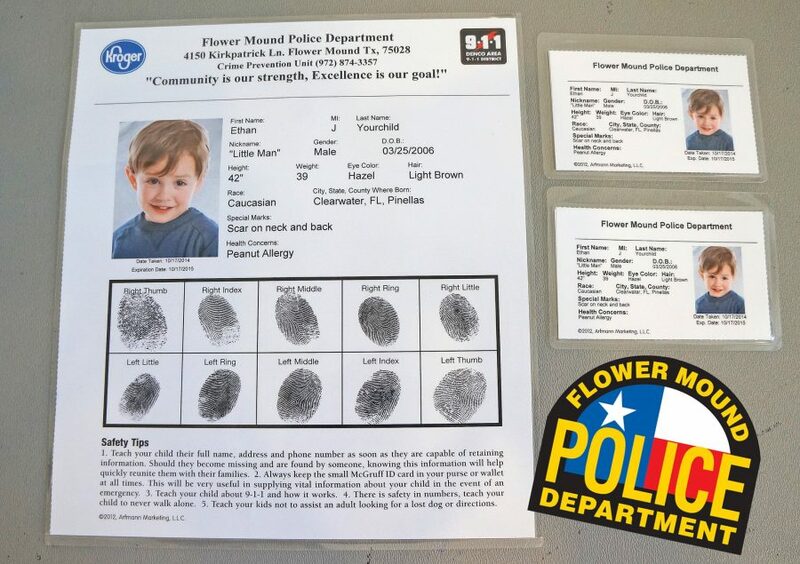 Flower Mound PD is offering free digital ID kits for local children. The Flower Mound Police Department is offering free digital child ID kits for Flower Mound residents on Wednesday. Parents can bring their kids to the Flower Mound Public Library, 3030 Broadmoor Lane, from 9 a.m. to 1 p.m. Wednesday to have a free digital child ID kit made, according to FMPD. Children as young as infants can have a kit made and no reservation is required. The ID kit includes pertinent information such as your child’s name, address, birth date and any medical conditions. In addition, a current photo and fingerprints will be taken on-site. If ever needed, this important tool will give authorities vital information to assist in efforts to locate a missing child, according to FMPD.